With a well-cast ensemble featuring Ranveer Singh, Alia Bhatt and Kalki Koechlin, Dharavi-set ‘Gully Boy’ is a film emblematic of the times. Murad (Ranveer Singh), a young college going rapper, when asked to not fight the natural course of life, tells his father that he will change his reality to meet his dreams, but he won’t change his dreams to meet his reality – it’s not fake bravado fuelled by youthful passion, it’s a mission statement of the film and its protagonist. Designed as a ‘shoutout’ to rappers Naezy and Divine, Zoya Akhtar’s simmering Gully Boy is about the collision of dreams and reality. It’s about the son of a driver living in the slums who dares to dream outside his lane. It’s about the lower middle class, which has been completely obliterated from mainstream Hindi cinema of late, taking the centrestage. And it’s about reclaiming space – so, of course, it’s situated in Mumbai’s Dharavi. Murad, which literally means ‘desire’, is constantly cramped for space, even in cinematographer Jay Oza’s busy frames, almost sneaking in everywhere. He lives with his driver father Aftab (Vijay Raaz) and his newlywed second wife, younger brother, grandmother, and his mother – the figure of moral centre in Hindi films. If his relationship with his dutiful mother, Afreen (Amruta Subhash), is defining, his romantic partnership with the combustible Safeena (Alia Bhatt) is elevating. Zoya Akhtar, however, doesn’t settle to focus on just one aspect of Murad’s life. This is drama as character study and she taps into everything that surrounds him – the inequities of the mythical ‘system’, the rage of a generation and the troubled questions of gender and religion. He also mentors Murad during his journey into the world of rap music – the film’s amazing soundtrack features 18 tracks with some of the best lyrics you’ve heard in a while. Enter Sky (Kalki Koechlin), a Berkeley-educated young woman who brings more than just an opportunity to Murad’s life – she brings romantic complexities too (watch Safeena go off like a bomb at the ‘party scene’). All of this happens within the shadows of small crimes, with Moin (Vijay Varma), an elder brother-like figure in Murad’s life, standing in for a different section of the same class. Murad has to rise above all these challenges and himself, just for survival. But he isn’t living for survival. He’s hedging because he knows that his time will come – that he will become the rapper who talks about more than ‘gaadi’ and ‘chokri’. Like Akhtar’s previous three features (and two shorts), the central theme here is to break free from shackles. And like all her previous efforts, save for Luck By Chance (2009), it all appears a little too neatly arranged, a little too manicured. For instance, in this beautifully lit film, Akhtar takes you close enough to ‘see’ Dharavi, but not close enough to ‘smell’ it. Its overt politics too seems incidental, never mind the brouhaha over the song ‘Azadi’ which belongs in an entirely different film. Personal is political, and the desire to point out the stark differences between the high rises of Mumbai and the poverty that surrounds it is evident. But like the cow slaughter opening sequence in Anurag Kashyap’s Mukkabaaz from last year, somethings just look like add-ons here too. It’s not as if the filmmaking isn’t good, it is remarkably fluid in most parts, but there’s a certain distance between the subject and the intended impact. Zoya Akhtar, though, does find the perfect visual rhythm for depicting distance in the song ‘Doori’ (penned by Javed Akhtar and Divine), where she gets to say what’s really at the heart of Gully Boy – unequal opportunities and freedoms. The song works simply because Akhtar has an actor who can hold a tight close-up with his eyes. Ranveer Singh has delivered a number of good performances since his debut a decade ago, but he seems most functional in the traditional beats of a Hindi film – like seen in his last two releases, Padmaavat and Simmba (both in 2018). 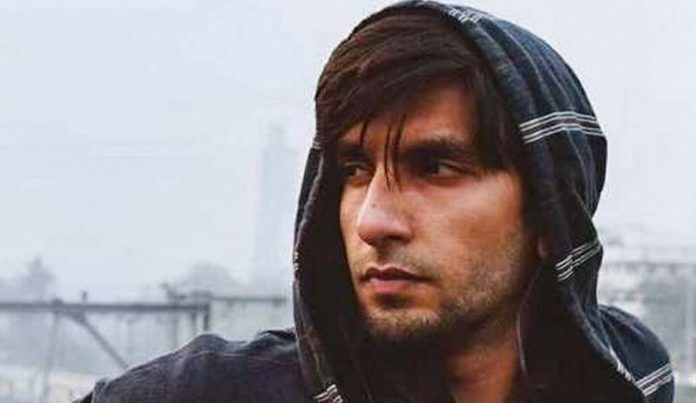 In Gully Boy, Singh does a Bachchan. For a film that’s reliant on him from the first to the last frame, he stands out despite an extremely well-cast ensemble. Notice him in the scene mentioned in the first line here, how he manages to convey his convictions to his father without so much as raising the pitch of his voice. Or how he lets loose in the rap battle sequence. It’s a wonderfully pitched aural performance, and Singh nails it quite like Amitabh Bachchan of the ’70s. In 1975, Salim-Javed would probably not have been aware that Bachchan’s Vijay in Deewar would come to embody the rage of an entire generation. About 44 years later, Javed Akhtar’s daughter seems to have arrived at the same moment in history with a character who seems to personify more than just the dreams of a generation in a rapidly changing country, in conflict with itself. Make no mistake, Gully Boy’s quiet and understated tone is poles apart from Yash Chopra’s Deewar. But it carries the same burden with equal élan.